If I ask you what comprises a good eLearning course, most of you would unanimously state - high-quality content, pleasing aesthetics, easy navigation, and engaging interactions. While all these elements are important for an effective course, the last one is generally considered to be the most challenging. And today, we shall talk about the same. 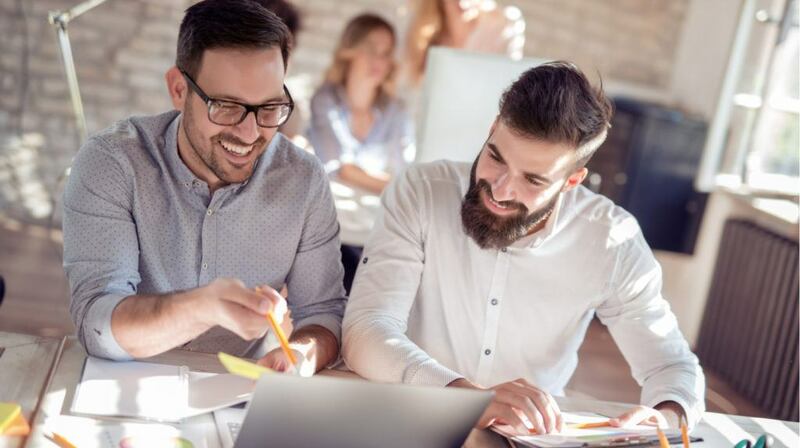 Course creators and Instructional Designers generally seek access to ready-to-use, interactive eLearning templates to catalyze the eLearning creation process. But it doesn’t end there. Interactive template libraries do give you multiple options to choose from, and you can actually save enormous time when compared to building such interactions from scratch, though they come with their own set of challenges. Let’s have a look at some of these challenges today. This is probably the most common yet most critical challenge that needs to be addressed when using interactive templates. Many eLearning professionals, when they gain access to such templates, end up using interactivity at every single point in the course. And that defeats the whole purpose. Interactivity is critical, but it should not be overdone (it is equally important not to overdo it as well). Do I sound borderline confusing? :-) Well, let me clarify. In simple terms, inserting an interaction every 3-5 minutes is probably a good benchmark to follow. This way, you don’t overwhelm your learners, and you give them some breathing time for content absorption. This is another crucial challenge that course creators might face when using interactive templates. Despite having access to a variety of templates, they somehow end up using a particular kind the most, and these are mostly the favorite templates they have settled down to. No learner would enjoy a course that has games one after the other or just keeps playing a video throughout. To avoid monotony setting in, learners need to experience a good variety of interactions. Use the power of interactive learning template libraries to the fullest at such times and be open to building a course using a host of formats like interactive presentations, scenarios, quizzes, games, videos, and more. Not every interaction solves the same purpose. As a rule of thumb, any interaction that is used in your eLearning course should be based on the kind of knowledge that you are looking to impart - factual, conceptual, or procedural, and eventually, guide the learner towards achieving the ultimate learning objectives. 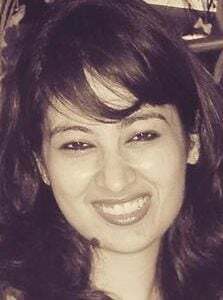 For instance, if you are looking at imparting some factual knowledge, like acquainting learners with some technology jargons, then a simple memorize-and-recall template might work the best. But, if you want to impart some procedural knowledge, like guiding them with the steps for installing or activating a tool, then, a screen simulation template would be helpful instead of a tabbed display. Course creators often end up being challenged with the level of interactivity to be used in the module, which ultimately drives the choice of interactivity templates. The most straightforward workaround for this is to analyze whether the learning needs to be active or passive or anywhere between these two. If the idea is to have learners remember some facts as a part of a compliance guideline, then you do not need a very high level of interactivity. You could safely stick to level 1 or level 2 (passive or limited participation) interactivities. But if it is a skill that requires your learners to practice and learn, then you should ideally make use of level 3 or 4 interactions where learners can actively engage and participate. Instructional Designers can also map this to Bloom’s Taxonomy . And needless to say, everything should eventually tie back to your module’s learning objectives. I mentioned it at the onset that building engaging interactions is the most challenging part of course creation. But it is essential to remember that content is still the key. Interactivity should not distract your learners, but enable them to understand the content better and eventually help them achieve the desired learning objectives. And interactive learning templates should help you do that easily. While you may face challenges in using those at first, but these challenges can be kept at bay with the above-suggested best practices. Eventually, you will start following the best practices intuitively and avoid the challenges altogether. 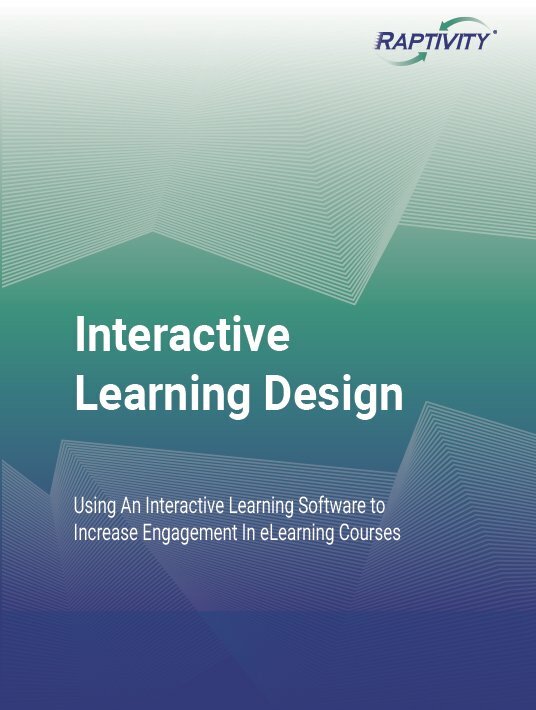 If you need more best practices, extra tips and examples of how to create easily interactive eLearning Courses download the eBook Interactive Learning Design: Using An Interactive Learning Software To Increase Engagement In eLearning Courses.